This is a sponsored post written by me on behalf of Bay Alarm Medical. All opinions are 100% mine. I never imagined that at the ripe old age of 41, I’d be too ill to stay at home alone for long periods of time. I never imagined that if my family wanted to go out of town, I’d need someone to stay with me to care for me at this age. I’m young, and yet I need to have someone there just in case. I’ve had coughing fits due to my dysphagia that have been scary. One time I thought I was going to need to have my daughters call 911 as they were the only other ones here. 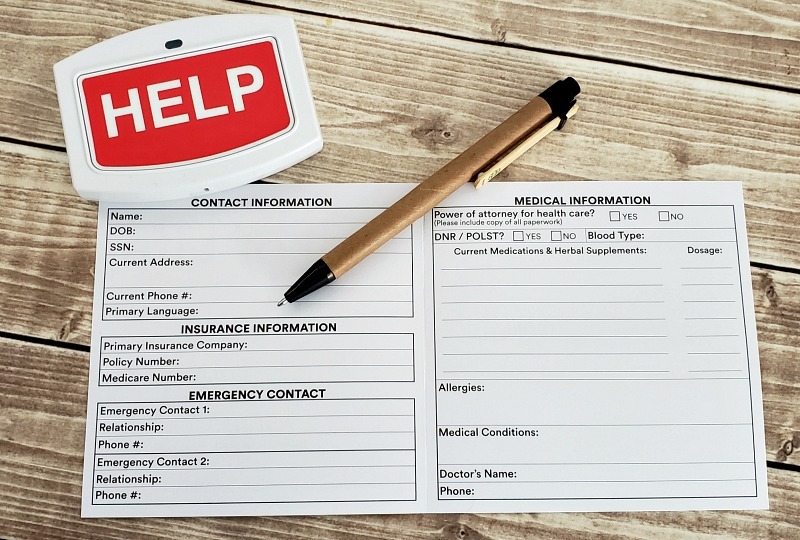 I’ve been the ER more than once through this whole ordeal, and I wasn’t quite sure what I’d do if I was home alone in some of these instances. So Brian and I got talking about things that would make him feel better about leaving me alone. And one of those things is a medical alert system. The timing was perfect as Bay Alarm Medical agreed to send me one of their Medical Alert Systems to review. At first I hesitated because it really makes me feel down that I need something like that. I didn’t want to admit I was that bad off, but I have been. So I agreed and signed up. I was astounded with how easy the whole process was. You order the system on the Bay Alarm Medical website, sign your agreement and they ship you out the device. I was nervous about trying to set it up myself as some of my technical skills have gone down a bit since getting sick. However, it couldn’t have been easier to set up. Even an elderly person with no internet experience could set it up themselves. All you have to do is take the device out of the box and plug it in. Then you wait for the light to change from orange to green. And it’s ready to use! Since we don’t have a landline, we used the cellular service that Bay Alarm Medical offers. I love that they offer that service as so many of us don’t have landlines anymore! Once the light turns green, you have to test it. I was kind of nervous to push the button to test it since I wasn’t really sure what would happen, but a nice woman named Wendy came right on and asked me if I was having a medical emergency. I let her know I was testing the system and she was very kind and helpful. She confirmed they have my correct address in the system so that if I should need to press the help button for real, they’d know where to send the ambulance. I like that there is an intermediary person between me and 911. That way if I become unable to communicate after pushing the button, there’s someone with my information who can keep communicating with 911 and make sure I get help. I have the main unit in the living room because I like to sit in my recliner a few times a day. I put the smaller mountable help button in the bathroom on one of the cabinets where it can be reached from the floor. It’s important to place it in a location where someone is most likely to be hurt close to the floor so it can always be reached. And I really love the other options. 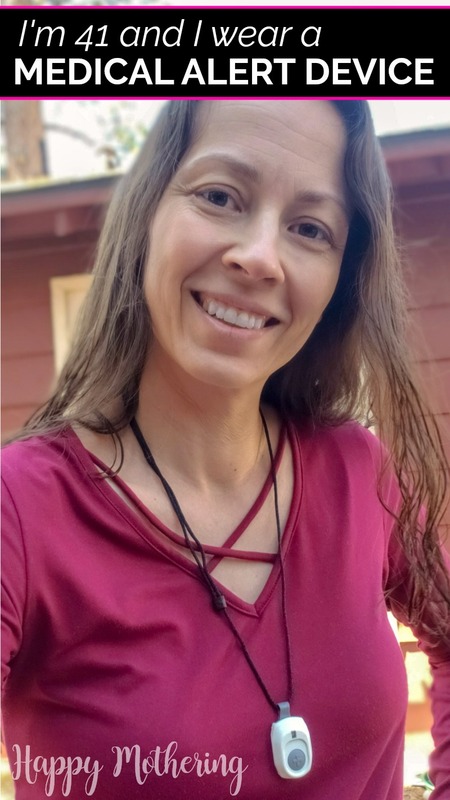 You can choose to wear a bracelet or a necklace with a button on it. They come with batteries installed, so once your main unit is set up, they’re active. The bracelet is super adjustable, so it will fit pretty much anyone. I have tiny wrists and there is a long tail. The cool thing about the the bracelet is that you can swap out the included strap for your own watch band. That way you can customize it to your personal style. I love the convenience of the necklace (shown at the top of this post). Both the bracelet and the necklace can be used In car too. I like that I can go anywhere in the house or out in the backyard and I have a button I can push for help. Because I’m surprisingly bad about remembering to carry my phone around with me. Now that the medical alert system from Bay Alarm Medical is set up and active In home, my family can feel much better about leaving me at home during the day while they snowboard or go on other adventures. 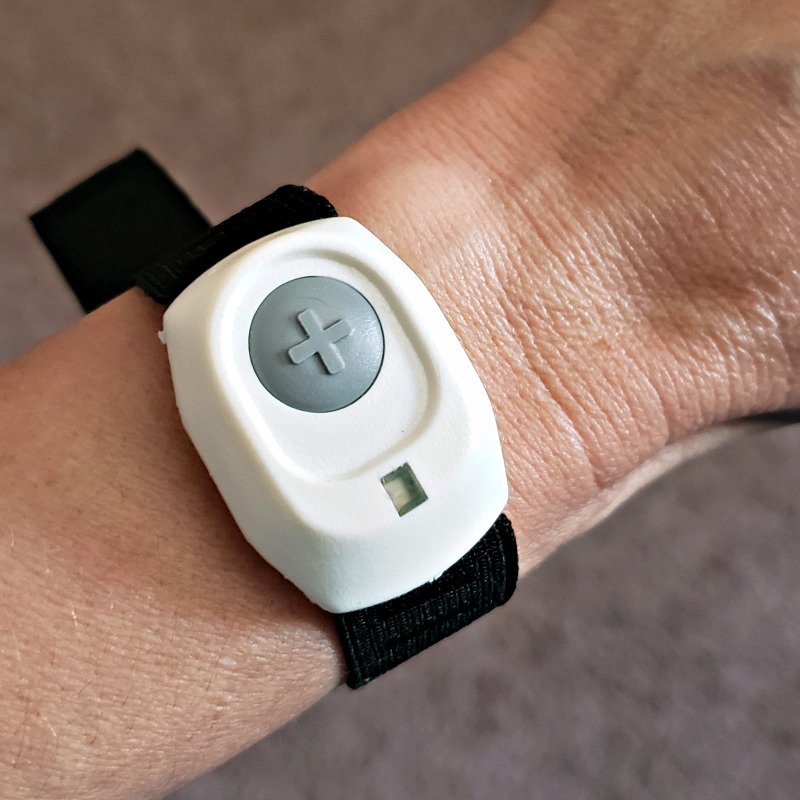 While I never imagined I’d be wearing a medical alert device at only 41-years old, I’m grateful for the peace of mind it brings me and my family. 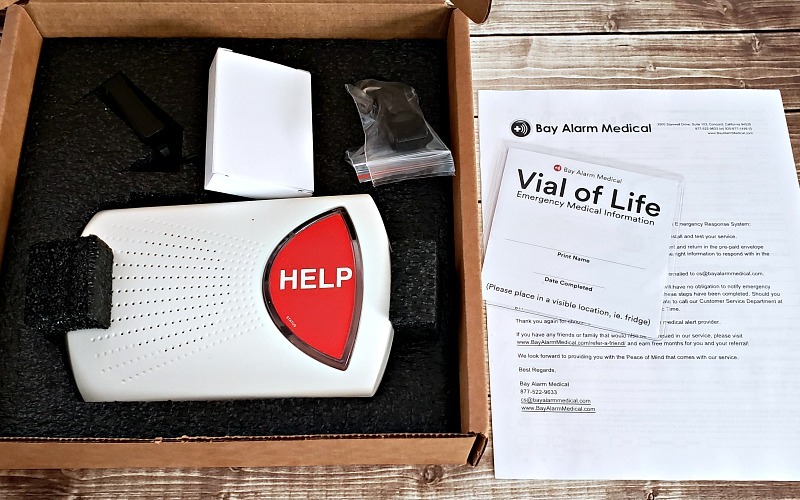 If you or a loved one has health problems and you’re concerned about them needing help when they’re alone, check out Bay Alarm Medical Alert Systems.